After attending the Transportation Research Board's Annual Meeting, SvR's Nathan Polanski was asked to write up a piece for the ASLA's blog: The Field. Enjoy Stormwater Infrastructure and Streetscapes. Building on last year's list of gift suggestions, we're rounding up a list of our staff's gifts recommendations for the landscape architect or civil engineer in your life. Have you ever wanted to green up a vacant lot, but didn't feel like having a run in with those pesky folks from law enforcement? Greenaid has you covered with 10 seed bombs and a wooden slingshot. (Unfamiliar with seed bombing? Learn more at Guerrilla Gardening.) At just under $15, it would make a great stocking stuffer. Ever since reading about Maria Popova's piece in Brain Pickings, walking on the sidewalk has been a coded step-and-slide. 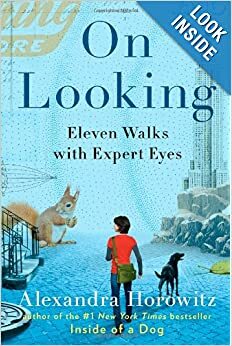 That's how Alexandra Horowitz describes the subtle human dance of how people walk in the city, and we're excited to read her new book, On Looking. Yes it's cold. Yes, it's dark. And yes, it's wet. But our bike racks are still pretty full every day thanks to several committed year-round cyclists in the office. 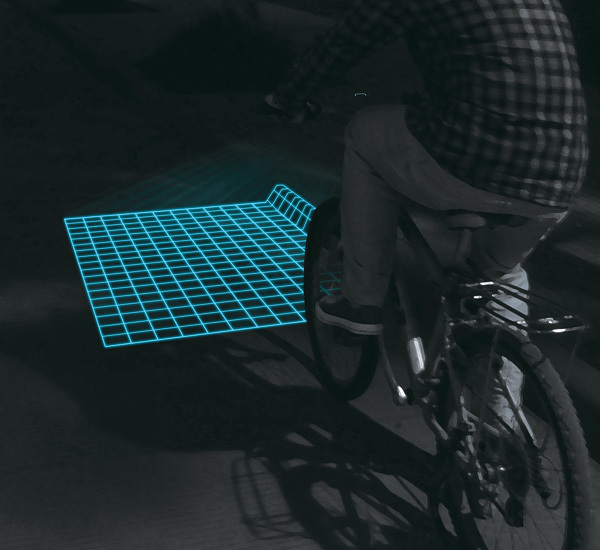 That's why we're loving the Lumigrid, a bike light that projects a grid of lines. Why a grid? Well, in addition to lighting the way and provide more visibility to other road uses, the even grid helps to reveal the topography of the path in front of you. No more abrupt potholes? Yes please. Learning about Livable Streets Two friends wrote books this year about transforming our streets and making them safe, more livable and more environmentally friendly. The long-time director of the National Complete Streets Coalition, Barbara McCann, released Completing Our Streets, and our own Dave Rodgers, working with lead authors Lesley Bain and Barbara Gray, released Living Streets. They'd be great to give as a set. Spatial.ly put out their own list of gifts for map lovers. There are some great ideas, but the text-maps of various US cities from Axis Maps is a stand out. Ever wanted to install a separated bike lane somewhere? Copenhagenize now has the Flow that provides a snap-together, vertically separated bike lane for tactical urbanist interventions. Two other friends also penned books about the urban environment this year. 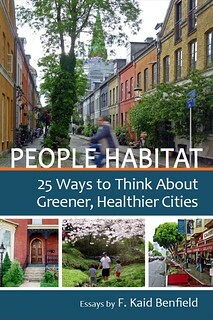 Pick up a copy of Seattleite Chuck Wolfe's Urbanism without Effort or pre-order Kaid Benfield's People Habitat. Finally, a true toy--under the guise of filming fly-throughs of our projects--a quadcopter. Remember, we're telling our kids it's for work only.